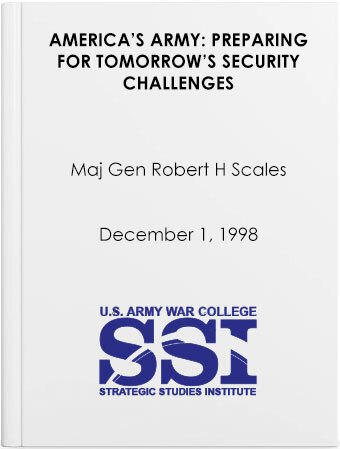 During the early decades of the 21st Century, the Army of 2025 will differ from today's Army in two distinct ways. First, it will achieve unprecedented strategic and operational speed by exploiting information technologies to create a knowledge-based organization. Second, it will exhibit tremendous flexibility and physical agility through streamlined, seamlessly integrated organizations that use new tactics and procedures. The collective result will be a versatile, full spectrum, capabilities-based force that can decisively respond to any future global contingency. As the world begins a new age and a new century, the Army is preparing for the next kind of war that will emerge.